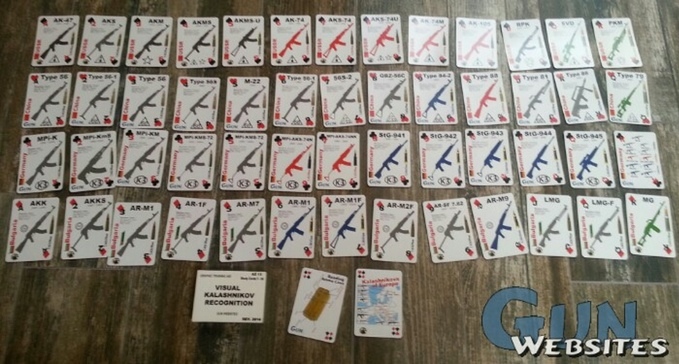 GunWebsites.com has created a deck of AK Identification Playing Cards that are reminiscent of the old aircraft ID playing cards. Each card in the deck features a silhouette of an AK variant along with information like its country of origin, arsenal mark, years of production, and materials used. GunWebsites.com has stated that if successful, this could be the first in a series of decks that would expand the countries and AK variants represented. The AK Identification Playing Cards are currently being launched on Kickstarter. There are a number of affordable backer perks to check out, including some early bird perks that are still available.